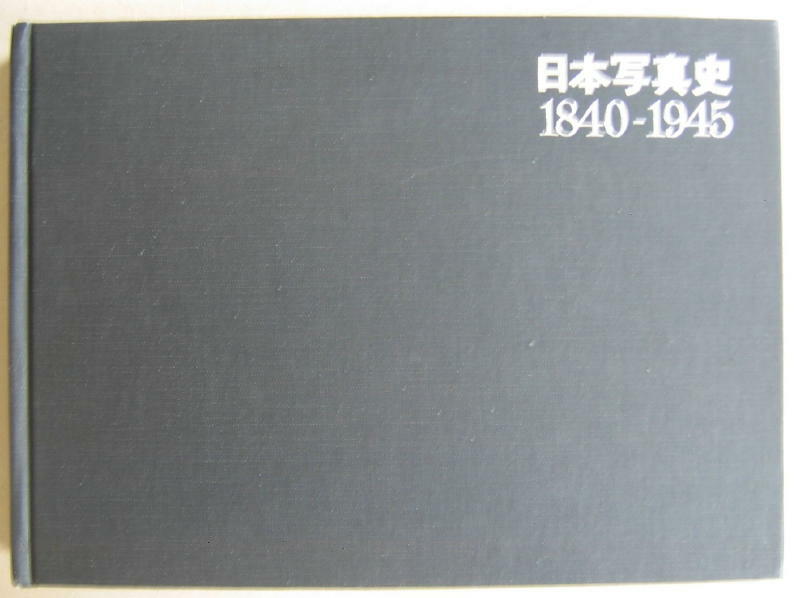 A History of Japanese Photography[Nihon Shashin Shi], 1840 - 1945Tokyo 1971.Hardcover in a photographically illustrated slipcase 21 x 29,5 cm[oblong] 516 pag. Good copy, slipcase some slight wear. Volume I of a two volume edition. The book has over 500 black and white and some colour photographs. 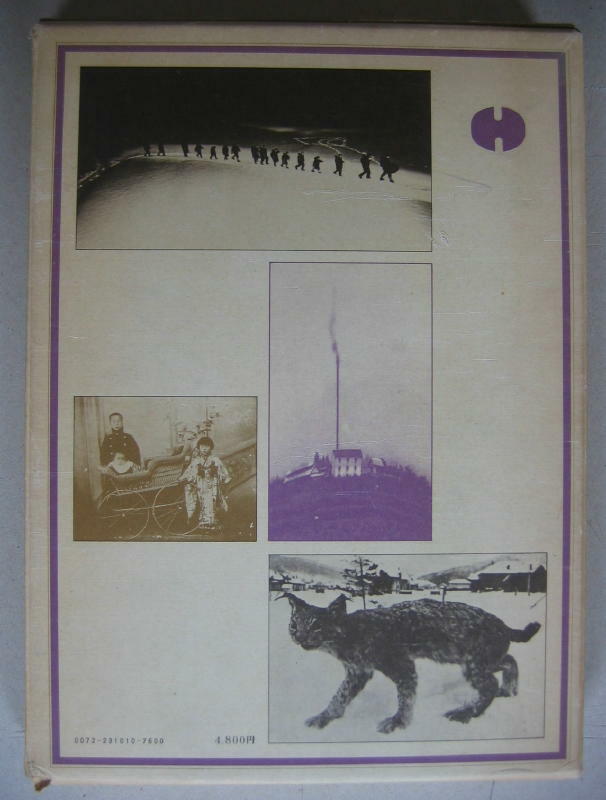 Only Japanese text that also includes a list of photographs and bibliographic notes. “Covers the Bakumatsu period and the Meiji Period. From feudal Lords or posing Samurai to a devastated Japan in 1945. 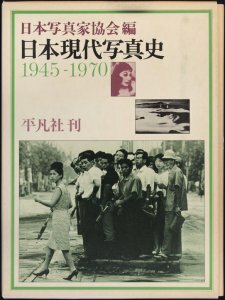 The History of contemporary photography in Japan 1945-1970[Nihon Gendai Shashin-shi], 1945 -1970), Tokyo 1977. Hardcover in a photographically illustrated slipcase 21 x 29,5 cm[oblong] 589 pag. Good copy, slipcase some slight wear. Volume II of a two volume edition. The book has over 366 pages with more than 500 black and white and colour photographs. 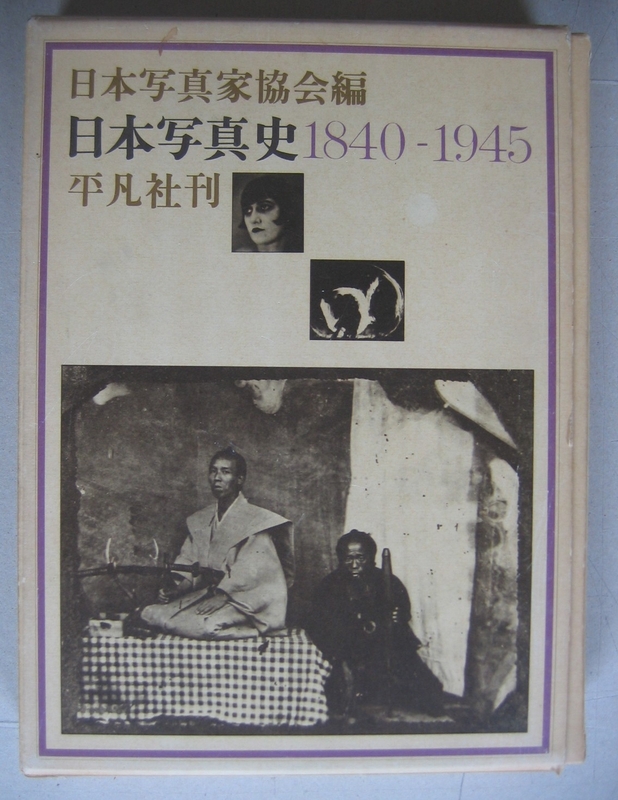 Only Japanese text that also includes a list of photographs and bibliographic notes. Published to commemorate the 25th anniversary of Japananese Photographers Association. PETER, C., A letter from Japan. The photographs of John Swope, Los Angeles 2006. Hard cover 22 x 27 cm. 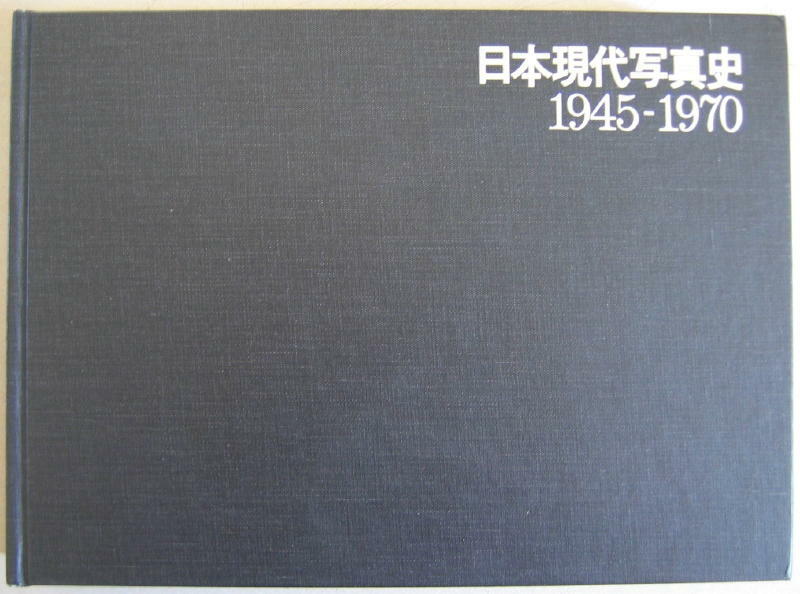 255 pages with 115 photographs of which 77 covering postwar Japan(1945). "As one of the first American photographers to set foot on Japanese soil at the end of World War II--even before Japan had officially surrendered--John Swope experienced and recorded a critical, peculiar and fragile moment in the history of the East and of a war-torn world. His powerful photo essay is complemented here, as he had hoped it would be one day, by excerpts from the 144-page letter he wrote to his wife, the actress Dorothy McGuire, during the three weeks he spent traveling with an elite team of Edward Steichen Naval photographers tapped to document the release of Allied prisoners of war. Swope went far beyond his official duties to convey the impact of World War II on the local population and the land, as well as the freed soldiers. Having visited Japan 15 years before, as a young man, he had a better sense than some of his colleagues of just what had been destroyed, and he struggled with it." 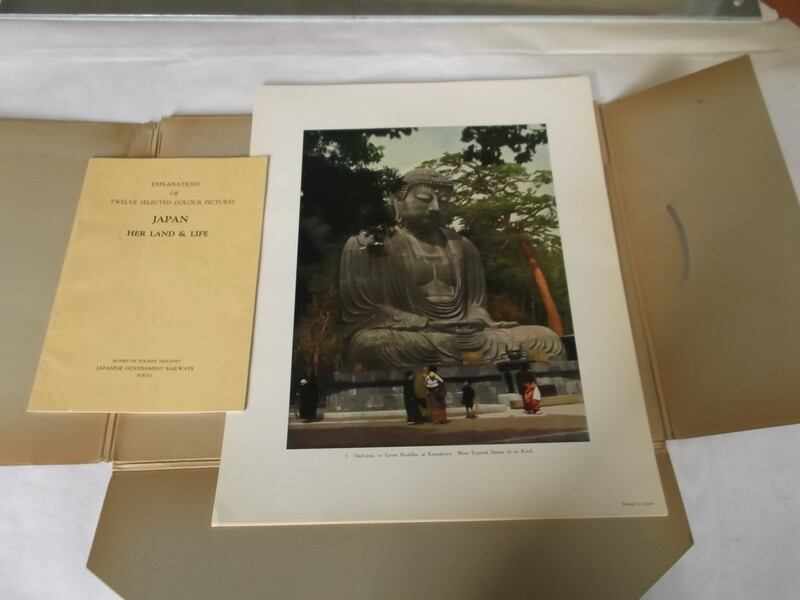 DOBSON e.a., Art & Artifice Japanese photographs of the Meiji Area, Boston Museum of Fine Arts, 2004. Softcover, 95 pages. Oblong, 20 x 25 cm. Rijk geïllustreerd. With the influx of Westerners to Japan during the Meiji period (1868-1912) came the rise of the Japanese photo industry. Originally created as souvenirs for foreign travellers, these pictures soon came to act as a pre-packaged guide: Before long, the tourist's first stop in Japan was the photographer's studio, where he ordered the handsomely-made photo album that would help set his itinerary. But more than this, these photographs reveal an astounding virtuosity, not only in composition but also in the technique of colour retouching, which brought these views of daily life, splendid gardens, bustling cityscapes, and theatrical performances to a new level of vividness. Blatantly artificial, these photographs also convey a true and resonant picture of Japanese society at the dawn of the modern age. 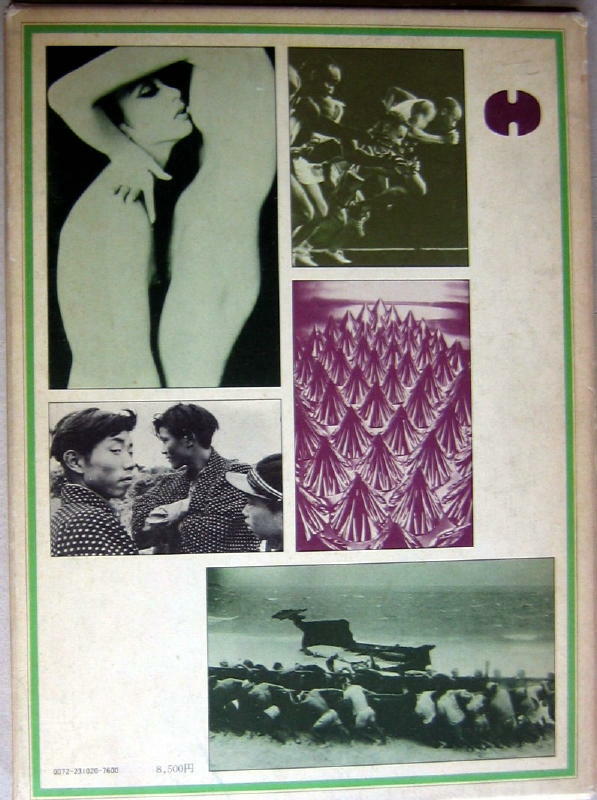 GREENBERG,H., Art Photography in Japan 1920-1940, New York 2003. Softcover 21 x 25 cm. 64 pages with 28 photo’s. MOESHART, H.J., Arts en koopman in Japan Een selectie uit de fotoalbulms van de gebroeders Bauduin, Amsterdam 2001. Hardcover 17,5 x 25 cm. 250 pag. met 250 zwart-wit foto's. Old photo's from Japan. Weergave van 250 voor dit boek geselecteerde foto"s uit de collectie van Toon Bauduin geven een uniek beeld van het leven van Europeanen in Japan in het midden van de negentiende eeuw. II). Japan in de jaren 1859-1874. 2). Opening van de havens. 3). Geldzorgen en juridische proplemen. 5). De kanonnen van Shimonoseki. 6). Einde van het shogunaat en een nieuw begin. III). Het leven van buitenlanders in Japan. IV). Albert Bauduin in Japan. 2). Opening van Hyogo en Osaka. 3). Albert's laatste jaren in Japan. V). Toon Bauduin in Japan. VI). Japanse fotografie en foto's uit Japan. 1). Dr. Bauduin als amateurfotrograaf. 2). Iets over de fotografische techniek. 3). De herkomst van de foto's." TAKASHI AKIRA ISHIGURO, Curious photo's from the Bakumatsu period, Tokyo 1996. Soft cover 16,5 x 22 cm. 157 pag. with 138 photo's some of which in colour.Text in Japanese. Tokyo Photographic Art Museum, Dawn of Japanese Photography, Tokyo 2017 [publisher:Tokyo Photographic Art Museum// ÏSBN: 978-4-634-15113-0]. Soft cover 22 x 15 cm. 292 pages of which 192 pages with 375 photographs. Text in Japanese. "This exhibition catalogue was published in 2017 directly after the re-opening of the Tokyo Photographic Art Museum to commemorate the earliest photography in Japan." COLOMBO, A. e.a, De Japanse fotografie van 1848 tot heden / Japanische Fotografie von Heute und ihre Ursprünge, Amsterdam 1980. Soft cover 20 x 20 cm. 187 pag. rijk geillustreerd met zwart-wit foto's. Tekst in het Nederlands en Duits. Text in Dutch and German. Ölschläger, H-D, Die Ainu Porträt einer Kultur im Norden Japans, München 2002. Soft cover 30 x21 cm. 121 pages with around 100 photographs and illustrations. Text in German. 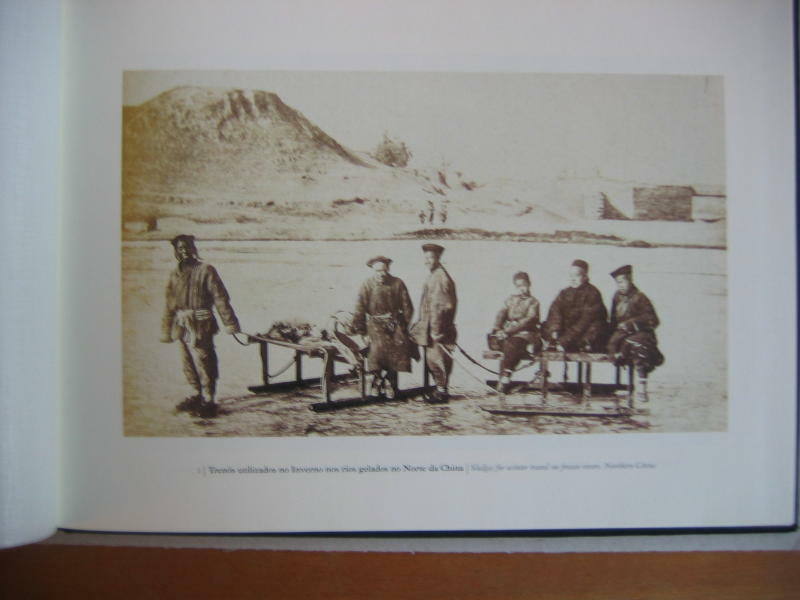 Pages 90-113 Chapter on early photography of the Ainu. Peabody Museum of Salem, E.S. Morse Collection of photography, Japan 2005. Text in Japanese and English. Hardcover 23 x 31 cm., 210 pag. with 300 photo's. DI SIERA, D, Antonio Beato, Felice Beato e Adolfo Farsari. Fotografi veneti attraverso L'Oriente del'ottocento, Padova 2011(ISBN: 9788888997827). Soft cover 26 x 21 cm. 158 pages with 95 photographs. Text in Italian, introduction text also in English. OZAWA TAKESHI(ed. ), Hozonban koshashin de miru Edo kara Tokyo (free translation: Edo before it became Tokyo in old photographs), Tokyo 2001. Soft cover 21 x 25,5 cm. 247 pag. with around 500 photo's from 1872 to 1890. Japanese text only. The photo's reproduced come from two old albums that have been recovered. HOERNER, L., Eine Fotoreise durch das alte Japan, Dortmund 1985. Soft cover 12 x 17,5 cm[oblong]. 174 pages with 70 full page colour photographs. Text in German. 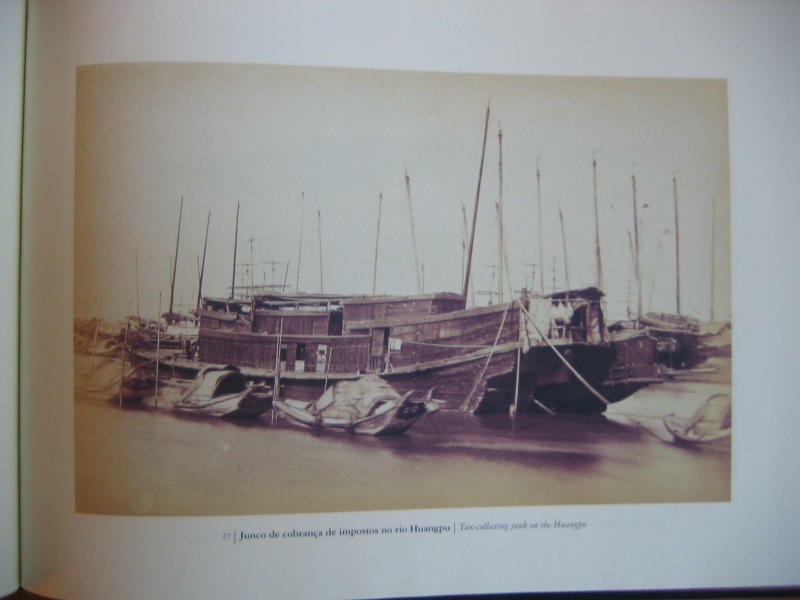 De DEUS RAMOS, J., Extremos Orientes 1877 / The Far East 1877, Lissabon 2002. Hard cover 21,5 x 29,5 cm[oblong], 82 pag. with 59 full page photo’s of China, Taiwan and Japan. Three maps that show where the photographs have been taken. Text in Portuguese and English. The photo collection of Francisco Gil Borje e Meneses. LEIJERZAPF,I.Th., Herinneringen aan Japan 1850-1870. Foto's en fotoalbums in Nederlands bezit, Den Haag 1987. Softcover 20,5 x 26 cm. 234pag.waarvan 194 pag. met zwart-wit foto's. Kaft vertoont lichte gebruikssporen. Cover some wear, good copy. Asahi Shimbun, JAPAN A pictorial interpretation // LE JAPON Une interpretation par l 'image, Tokyo 1934. Hard cover (without dust jacket)h 26,5 x 20 cm. A photo album with 272 pages with photographs. Text both in English and French. Cover some slight wear. Good copy. "The photographs are depicting daily life in Japan in beginning of the 1930's." Brown portfolio(30 x 38 cm) with small 16 page booklet with information on the 12 reproduced photographs. Published in 1936 by Board of Tourist industry and Japanese Governement Railways. Portfolio some wear and tear. Photographs clean. Reasonable to good copy. BENNETT, T. & CORTAZZI, H., JAPAN caught in time, New York 1995. Hard cover 22 x 26,5 cm 159 pag. with 130 hand-coloured photo's. A unique assemblage of unusual hand-tinted photographs of early Japan, selected from a collection assembled by Russian Botanist Alexander Vasilyevich Grigoryev, whose travels took him to Japan in 1879. Never before published as a collection, they were taken for the most part in the 1870s and preserved in the archives of the Russian Geographical Society in St. Petersburg. Many are unique and outstanding examples of early photography in Japan. As opposed to artist's sketchbooks or popular prints of the day, these 130 colour photographs convey in a uniquely realistic way a vision of life in Japan in the last half of the 19th century.